Arguably one of the most disputed topics of all time is body confidence and how women feel about themselves and their journey we all go through to love our bodies. 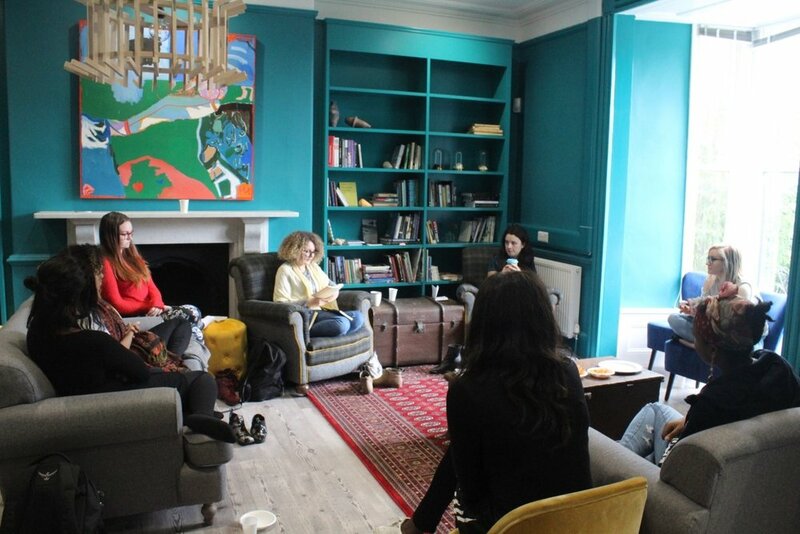 Daniella Ferguson-Djaba hosted a round table event on Saturday 23rd March where a group of women, creatives and all round beautiful people gathered to talk body confidence and listen to insightful poetry and prose. It was quite evident that everyone in the room was coming from different walks of life, some attending public schools, some from other areas of the country, some attending all girls schools with each individual having a unique perspective on body image and how it has played a role in their life so far. One thing that every person sat on those sofas had in common was that they were learning to love themselves and their bodies, including their flaws. Daniella started the chat reading some insightful statistics out, asking everyone how it made them feel. 9 in 10 women and 8 in 10 girls opt out of important life activities such as engaging with friends and loved ones. 5 in 10 women and 7 in 10 girls have not been assertive in their opinion or stuck to their decision. This got a mixture of reactions with each member of the group engaging with a different element of the statistic. Personal experiences were shared, the free discussion free took a variety of different twists and turns. The incredibly talented Abigail Martin, Seren Livie and Melody Gillett then read out some beautifully written poetry and prose, giving us an insight into their thoughts, feelings and experiences with body confidence. These pieces of reading led into the second half of the discussion where we continued to talk about what we liked about ourselves, learning to love our flaws and insecurities, and not caring about what other said or thought about us. 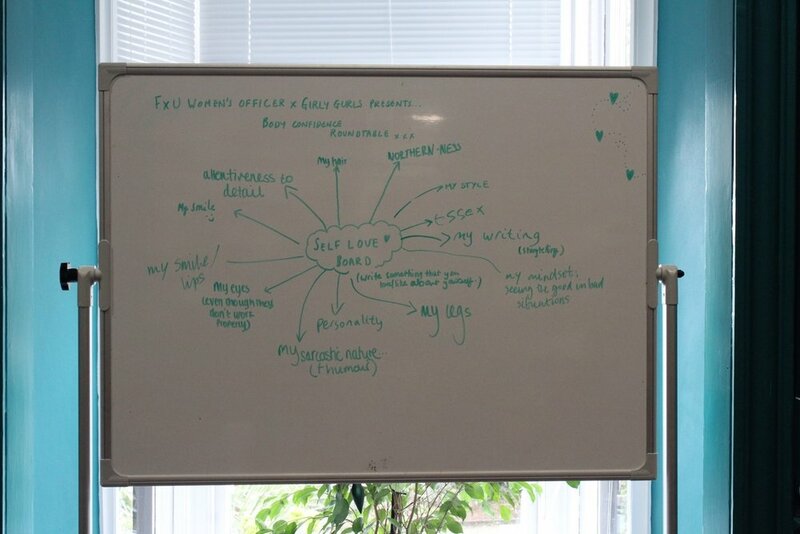 This whole concept of loving ourselves was then projected into the self-love board, where we wrote what we loved about ourselves. It was affirming to be able to see all the good things that people liked about themselves. We are all so focused on what we dislike about our bodies and what we want to change that we forget to look at what we actually like about ourselves and the wonderful beings that we all are. It was inspiring and I am certain that every person in that room left feeling good about themselves. Daniella did an amazing job, empowering everyone that was there.